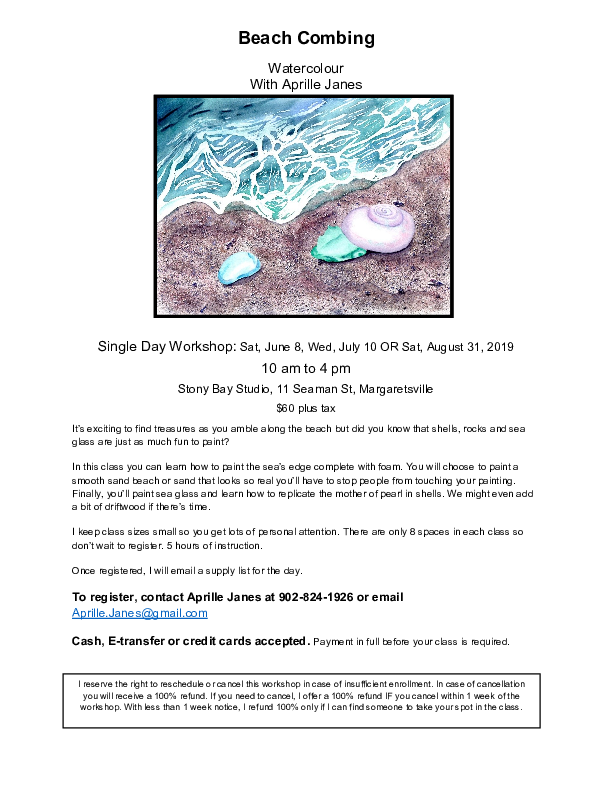 In this class you will learn how to paint the sea’s edge complete with foam. You can choose to paint a smooth sand beach or sand that looks so real you’ll have to stop people from touching your painting. Finally, you’ll paint sea glass and learn how to replicate the mother of pearl in shells. We might even add a bit of driftwood if there’s time.